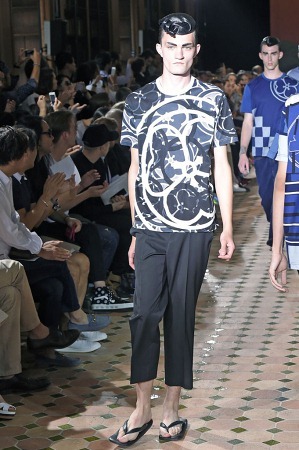 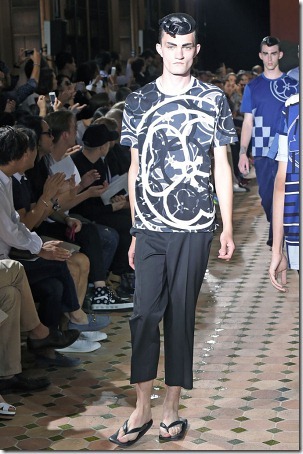 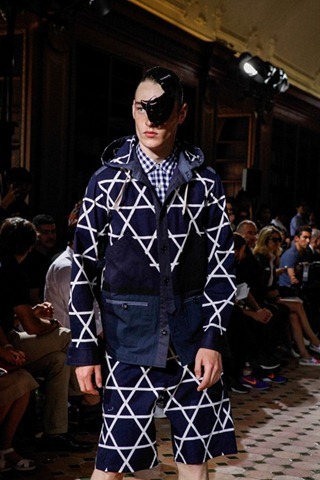 As a part of the Paris Fashion week held recently , the Japanese designer Junya Watanabe presented his forthcoming Spring/Summer 2015 collection . 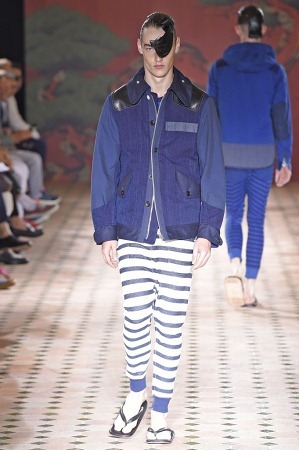 The collection was a visual treat as the designer used exaggerated patchworks, 50s inspired coifs to , mostly, slouchy and cropped jeans. Denim Patchwork jackets incorporate a mix of fabrics including florals, stripes, plain cotton fabrics to create that ,one of the most , subtle patchwork looks seen in such designs. 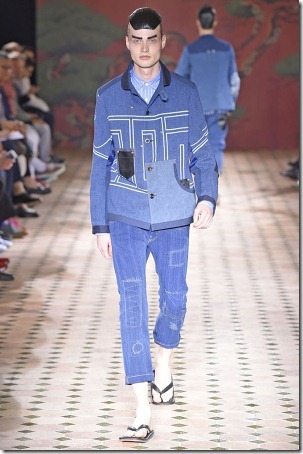 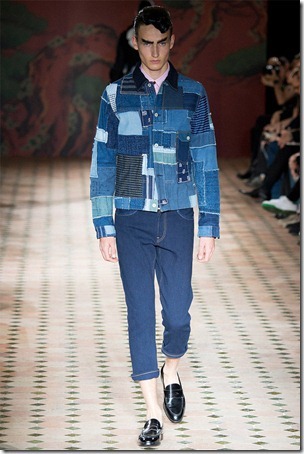 That Denim on denim trend is strong , can be easily understood from his collection. 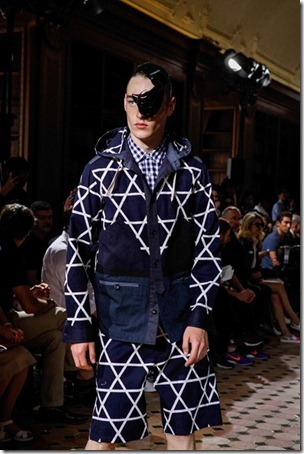 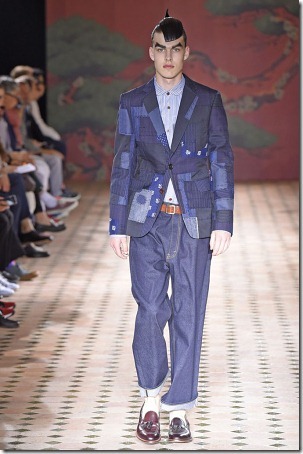 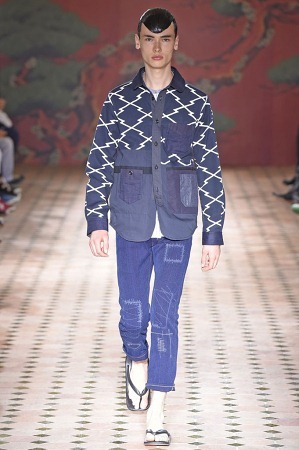 Sashiko Stitching and geometric patterns in sewing can be predominantly viewed on many of his jeans . 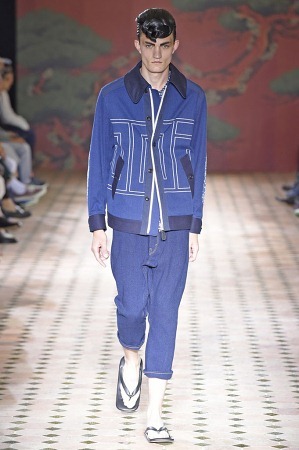 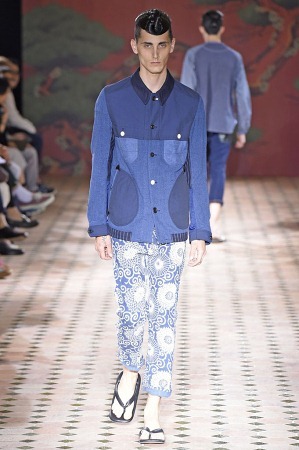 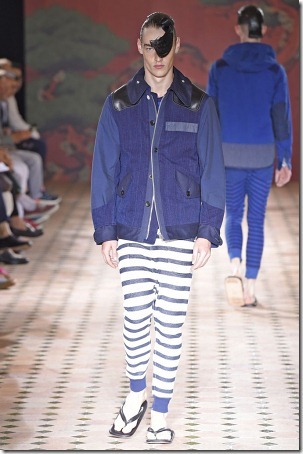 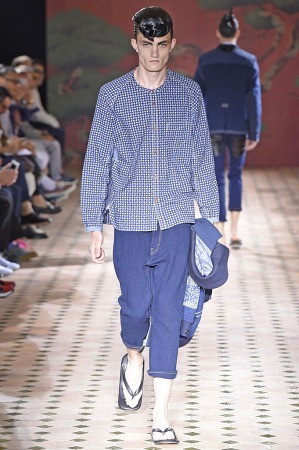 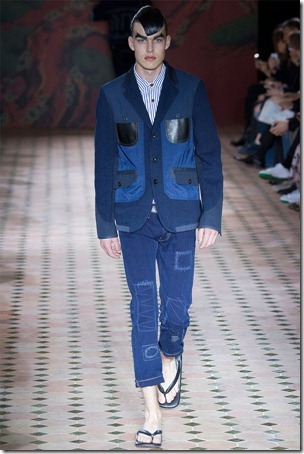 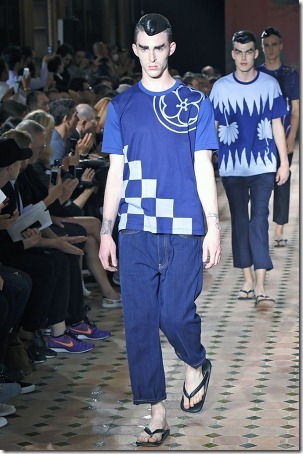 The collection was ALL BLUE with either denim on denim aspects or indigo dyed t-shirts combined with the jeans. This retro-modern collection revives 50s styles embraces the versatility and durability of the most well known modern textile material – denim .